4. Add Cream cheese to Jello mixture, breaking cheese up with a potato masher or the beaters of an electric mixer. 5. In a chilled bowl (glass or metal work best) whip with electric mixer chilled evaporated milk with 1 tablespoon sugar until small peaks form. (Getting peaks to form is much easier if the bowl and milk are cold.). 7. Pour over Graham cracker crust. 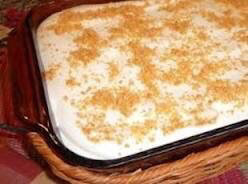 This entry was posted in Blog, Holidays, informational, Recipes and tagged cheesecake, Christmas, dessert, Holiday recipe. Bookmark the permalink.